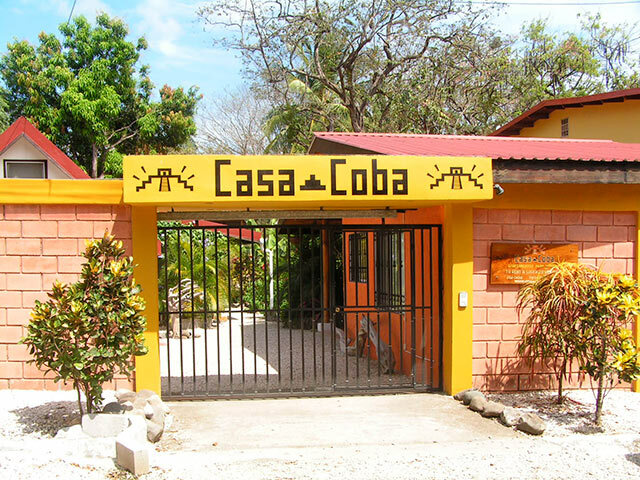 Casa Coba, under Swiss management, invites you with its warm ambiance, and gives you a sense of well-being the moment you enter. The establishment is small, unique, very safe and quiet. It offers two charming accommodations to rent, that are stylishly furnished, with attention to detail, and a touch of luxury. The Casita is a neat bungalow with a well-equipped kitchenette, and space for two people. It is perfect for individuals or couples. The apartment is very big, fully equipped and comfortable. It can accommodate up to five people; ideal for a family or couple that likes to have more space available. In the beautifully landscaped tropical garden, the many exotic flowers attract hummingbirds and a variety of other colorful birds. Also iguanas, squirrels and even howler monkeys come often to visit the garden. 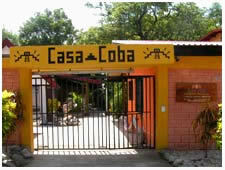 In these beautiful, natural surroundings, Casa Coba offers a yoga studio where classes regularly take place. In only a few minutes’ walk you can find all the infrastructure that the village of Playa Sámara has to offer. Just a few steps (100m) from Casa Coba you reach the beautiful sandy beach of Sámara that invites you to surf, swim, walk, or simply to relax.